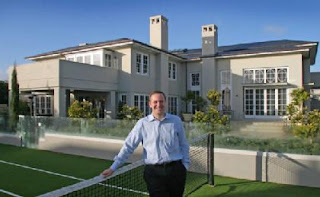 Early in National's term Bill English's confusion over what was a reasonable housing allowance for a wealthy MP gave a clue to how removed National's MPs are from ordinary New Zealanders. $46,000 per annum was a sizable level of compensation for having to live in one's own home. The $35 million paid to private schools while community education had their budget slashed by $54 million was a blow to the unemployed who lost an opportunity to re-educate at an affordable cost. The $1.775 billion paid to bail out South Canterbury Finance, costing every man, women and child in the country $405, was a generous decision when those being compensated will probably not be found in our lower income bracket. The generous tax cuts to our struggling CEOs would mean that John Key's corporate mates each would receive around $100,000 a year extra (given that the average CEO remuneration is around $1.6 million). Most working New Zealanders received nothing once inflated food costs and GST increases hit. The National Government gifted $25 million in subsidies to Warner Bros even though it has since been revealed that any industrial risk had already been removed. The Government also quickly amended employment regulations to the detriment of local actors who were already struggling on minimal incomes and employment protections. CTU head, Helen Kelly, has recently released a detailed account of the deception that occurred during this appalling fiasco of greed and media manipulation. The $11 billion being spent on motorways while the growing demand for reliable public transport in Auckland has been hit by major subsidy cuts. With increasing oil prices this huge concentration of public funds on roads seems nonsensical until you realize that National's mates don't do trains or buses. The Government's new fleet of BMWs (with heated rear seats) will each cost more than a new ambulance and the total budget for VIP transport this year is $7.9 million. Home care workers, on the other hand, have to use their own cars paid for out of their minimal wages. John Key's sense of entitlement has continued with his permanent bevy of bodyguards causing an $800,000 blowout of the protection squad budget. One of the most popular Prime Ministers in New Zealand's history needs three bodyguards to protect him while he visits a dairy, at the same time teacher aids get assualted on a daily basis by their high needs students (while earning a miserly $15 an hour). The Prime Minister's use of expensive helicopters to take him from one social function to another has already been questioned and the use of a millionaire friend's helicopter has recently led to a taxpayer funded retrospective payment. The $36 million being paid to support the elitist America's Cup campaign seems extravagant when small christchurch businesses are rapidly going under and farmers in the Hawke's Bay are facing financial ruin. Bill English has let it slip that perhaps there was no intention to bring wages up to match Australia. He has been able to lower wages so that we can now compete against China as a low wage haven for big business. Of course the killer blow will be the selling of state assets and cutting of public services and benefits to pay for the Christchurch rebuild. Expecting the wealthy to give up some of their tax cuts in an across the board levy was a no goer and beneficiaries and general wage earners will end up paying the bulk of the debt. With the real value of wages plummeting, food banks under huge stress, thousands of young people out of work, small businesses struggling across the country, does this Government care? The evidence says no!